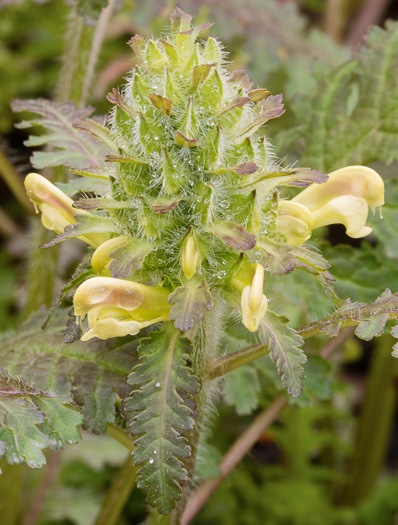 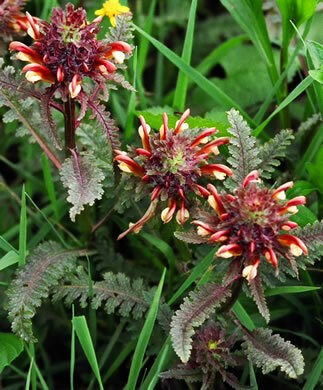 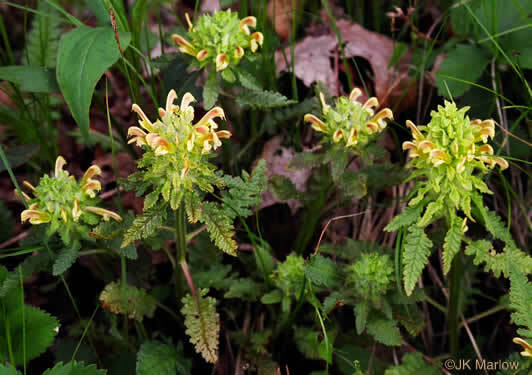 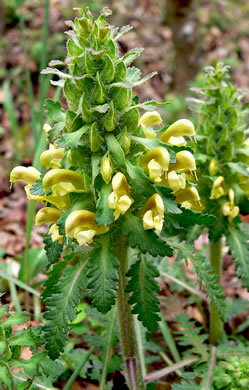 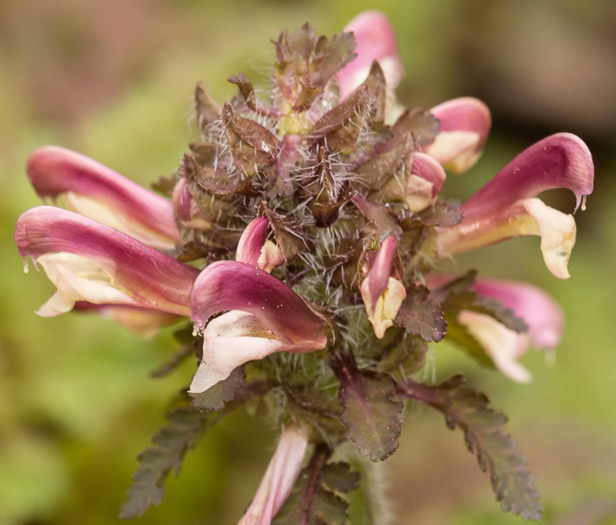 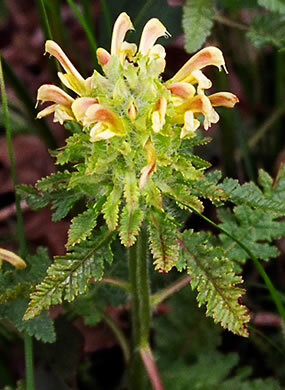 Flowers form an array of yellow or reddish bent tubes, each with 4 lobes, per Southern Appalachian Wildflowers. 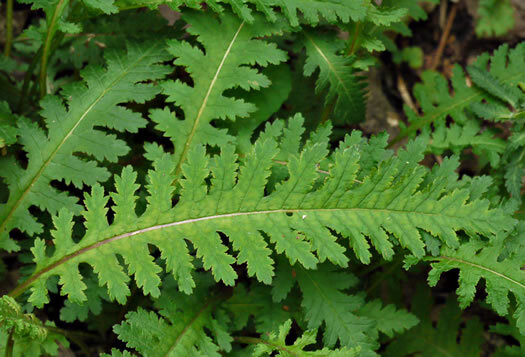 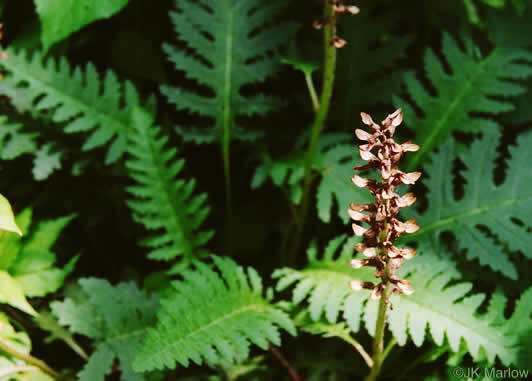 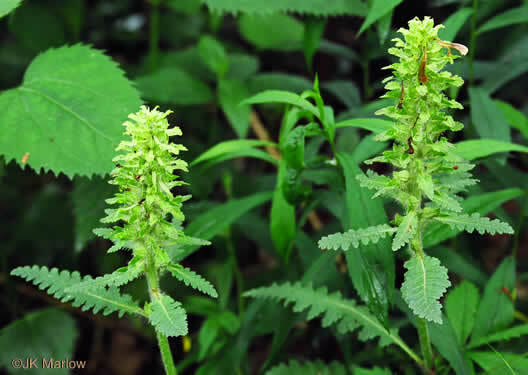 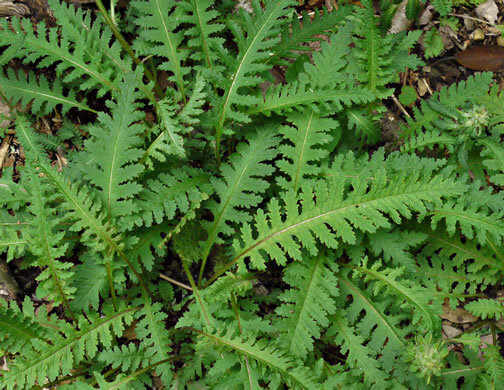 Basal leaves are 2-5" long, deeply lobed and appearing fern-like, per Wildflowers of Tennessee. 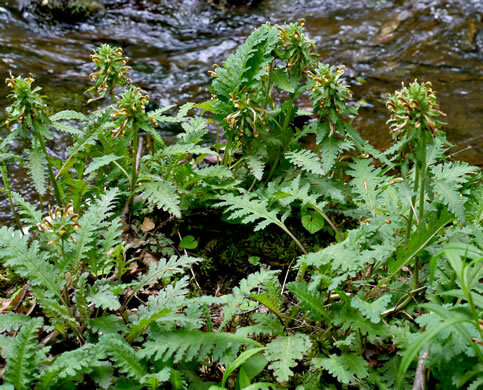 Stem leaves are reduced in size upward with the upper almost sessile, per Wildflowers of Tennessee.